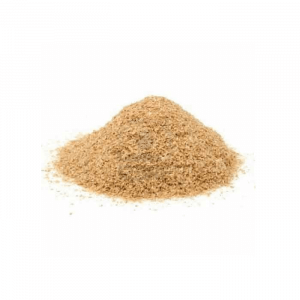 Dry chow is a popular choice among Dubia roach keepers A well-formulated roach chow is healthy for roaches, convenient to store and use, low risk with respect to potential health issues, and it seconds as a gut load for the animals that eat the roaches. For these reasons, dry roach chow is often the cornerstone of a captive Dubia roach diet. But is it maximized? After all, Dubia roaches appear to do best on a diet of dry chow and fresh foods. This suggests at least some nutrients roaches need aren’t supplied by roach chow. Could this be true? We want maximum growth and productivity, and we certainly don’t want to shortchange our roaches and ourselves. We want the healthiest, fastest growing, most productive roaches possible. Can anything be done to enhance dry roach chow’s effectiveness? The answer is yes! We’ve learned some nutrition-enhancing tweaks on our journey into raising and breeding Dubia roaches. While these are anecdotes rather than science, we’re convinced enough by what we see to use or have used some of these tweaks ourselves. We’re always open to change if better information comes along, but for now, this is state of the art. So with that in mind, this guide is designed to help you take your roach health to the next level. Keep in mind that we have ridiculously high standards for roach health and diet. While roaches can probably survive eating almost anything, we want “next-level” health for our breeders and feeders. When we test diets on our roaches, we look for any marginal increase in productivity as a measure of improvement. This is our gold standard. And we do mean any increase. Our definition of the perfect Dubia roach diet is one where nothing must be added to improve productivity. This is a high standard indeed. So what should you do if you want next-level health for your roaches? First, get set up with dry chow and settle into a routine. Read our roach chow feeding instructions for guidance on the basics. This is the base from which you will operate and expand. What do you want from the tweaks? On a basic level, tweaking roach chow involves adding something. The trick is to figure out what to add, how often, and how much. To that end, start by experimenting. Search for foods and ingredients that work for you and your roaches. This involves trying different food items in different combinations, observing the results, and making adjustments. Simple. You can start with something as basic as fruits or vegetables tossed in with the roaches. This means in addition to dry roach chow, and separate from it. You can do this in any way that works for you, whenever it works for you, and with any fruit or vegetable your roaches like. Overripe fruits like bananas and apples are usually winners, as are sweet potatoes, beets, carrots, squash, and more. The first rule of roach chow tweaking isn’t “don’t talk about it”, it’s “do it if your roaches like it”. The second rule is “Don’t overdo it”. Don’t feed so much fruit or vegetable that your roaches stop eating the roach chow. This can be fixed by combining ingredients as outlined below. Only feed as much as your roaches can eat in a short time to minimize moisture build-up in the colony and rot of the food you added. This helps you avoid problems that could affect the health of your roaches and the colony. First, it helps meet the roach’s moisture needs in a more natural way. Water crystals are great, but they provide nothing but moisture and a “gel” with zero calories. This is wasted opportunity as far as we’re concerned. Why not provide moisture and nutrition at the same time? That is, after all, how it works in the wild. The “natural” Dubia roach diet surely contains more moisture than they get from dry roach chow alone. They come from the rain forest, so foods they eat are likely not dry at all. On the contrary, they are probably rich in moisture. Second, adding moisture to dry roach chow makes it “easier” to eat. Roaches have little trouble breaking down hard foods, but many people report that roaches generally eat more when their chow is blended finely as opposed to offered in large chunks. This is our experience as well. We acknowledge again that this is anecdotal, but we think it’s real. Adding water to roach chow is simple. Just pour a bit of dry chow in a bowl, add water, then let it sit until the water is absorbed. Add water or chow as needed until it’s the consistency you want. We shoot for something like thick oatmeal, but you can make it however you like. You can see what that looks like in our Dubia roach food diary post. Be creative. FYI: Our main concern with adding water to roach chow is that we don’t leave a wet mess in the bin. We balance our desire to provide our roaches with additional moisture via food with our aversion to cleaning wet, moldy roach bins. True tropical cockroaches like Hissers from Madagascar are more productive when they eat fruit. We don’t know if it’s the sugar or maybe something else, but they sure do seem to like it. And a good appetite is great for Dubia roaches. We recommend adding anything that increases their enthusiasm for food – within reason of course. Juice will do that. NOTE: Be careful if you plan to feed these roaches off within the next few days. Too much citrus can cause digestive problems in fragile reptiles and possibly other animals. Consider adding chopped raw vegetables like carrots, kale, collards, or beets along with the water. You can also add freshly chopped, blended, or pureed fruit if you like. Fine chopped apple, mushed up orange or banana, and just about any fruit you may have will do the trick. While our roach chow contains some sugar, Dubia roaches love sweets, and they like them even more when they’re in the form of fruit or fruit juice. Adding these even in small amounts can cause your roaches to eat their chow with extra vigor. Carrots, beats, and sweet potatoes all contain sugar, so it’s not always necessary to go for the sweetest fruit you can find. Remember, experimentation is key. Learn what your roaches like and then find creative ways to provide it. As an aside, we don’t often add fruit to our roach chow because it’s just as easy to feed it separately. We prefer adding juice instead of chopped fruit because it doesn’t seem to go bad as fast. However, we do mix blended carrots, beets, and other fresh vegetables with our roach chow on occasion. This increases the chow’s palatability, and the roaches eat it up. They love it! Happy roaches makes for happy roach-keepers. We formulate our roach chow to be as nutritionally complete as possible. However, we encourage experimentation. You can add any ingredient you like. Did you read that cracked wheat acts like Miracle Grow for Dubia roaches? (it doesn’t, but let’s just say…) No problem! Grab some cracked wheat and add it to the roach chow. There is no end to the potential for experimentation. NOTE: Because roach colonies typically contain roaches at every stage, and because roaches at different stages have unique nutritional needs, we purposely leave some ingredients in our roach chow coarse rather than finely blended. This allows roaches to eat preferentially, which means they select what they eat based on their needs at the moment. Science has shown that they are actually very good at this. For this reason, we recommend that you not grind added ingredients too finely. We also suggest not going overboard with protein. Evidence suggests that the health of cockroaches – including Dubia roaches – is negatively affected by too much protein. A reasonable solution is to keep dry ingredients coarse enough that the roaches can choose for themselves whether or not to eat them. This means that adding water or juice to dry chow may create an issue. Roaches have a harder time eating preferentially when everything is wet and mushed together. This is why we serve our roaches wet roach chow less frequently than we otherwise would. And when we do, we also offer dry chow on the side. It’s something to consider. It’s not necessary, but it’s an option if you’re interested. You don’t need to go as far as we do to raise nutritious, productive roaches, but you can if you wish. We make the extra effort with our dry chow modifications to avoid problems and to keep productivity as high as possible. It’s worth mentioning again that our standards are extremely high. We acknowledge this, and we don’t expect most people will care as much about roach health and nutrition as we do. However, we think you and your roaches can benefit from the fact that we do! There is evidence that feeding chameleons prey containing moldy grain-based food can cause aspergillosis poisoning with many and varied symptoms, severe or mild. So, adding wheat may be good for roaches, but not good for the chams. If it is not all eaten in short order, mold can form. Conversely, feeding citrus to our crickets, although it sometimes draws fruit flies, seems to help our chams through the Ohio winter. Since they are from Madagascar, fruit would seem to be the mainstay of their prey’s diet. I am new to dubia roaches, so cant’ speak to how they fare.